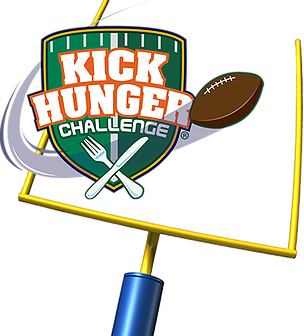 Team up with the Kick Hunger Challenge and thousands of other football fans across the country to defeat hunger! Show support for your favorite team and become a champion for hunger relief. Starting September 1, team up with Kick Hunger Challenge and thousands of football fans across the country to defeat hunger! Show support for your favorite team and become a champion for hunger relief. To help score an even bigger touchdown, recruit some friends to join you and the dollars the food bank receives grows significantly. 100% of donations to the Minnesota Vikings team page will be distributed to Second Harvest Heartland Food Bank. Click here to join the Vikings in making a difference.